2. Add lemon juice, lime juice, and tangerine/orange juice. Stir. Rim two margarita glasses with salt. (Run a cut lime around the edge, and then roll the edge in kosher salt. Or pink Himalayan salt. Or whatever salt you prefer.) Add ice. Half-fill a shaker with more ice. Pour in 3 shots of tequila, one shot of triple sec or Curacao, and 3 shots of sour mix. 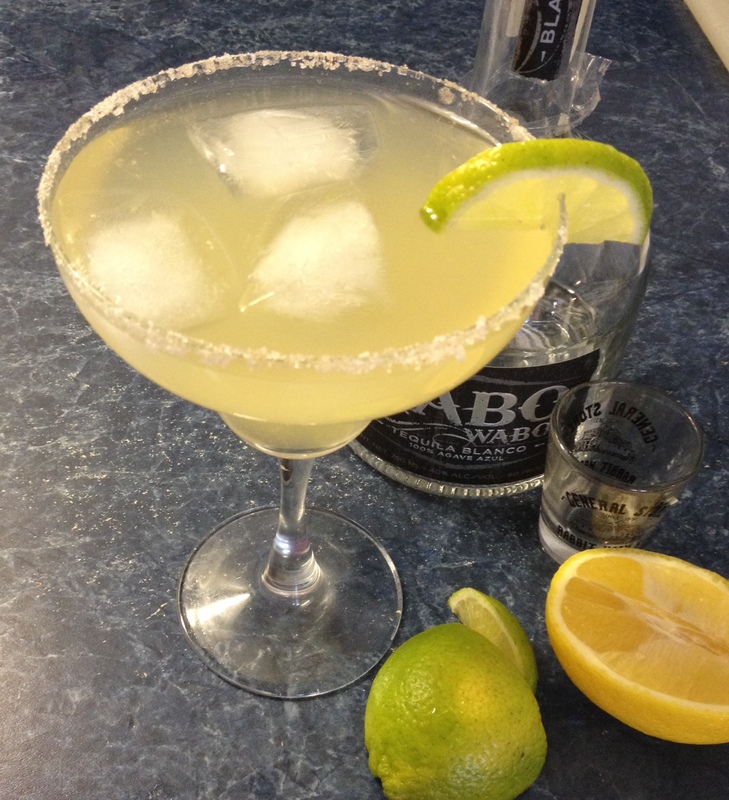 Strain into margarita glasses. Retire to the porch with snacks. Susannah served black bean and roasted sweet potato nachos in IMPULSE CONTROL. Maybe I’ll have to make that next! ** Update! 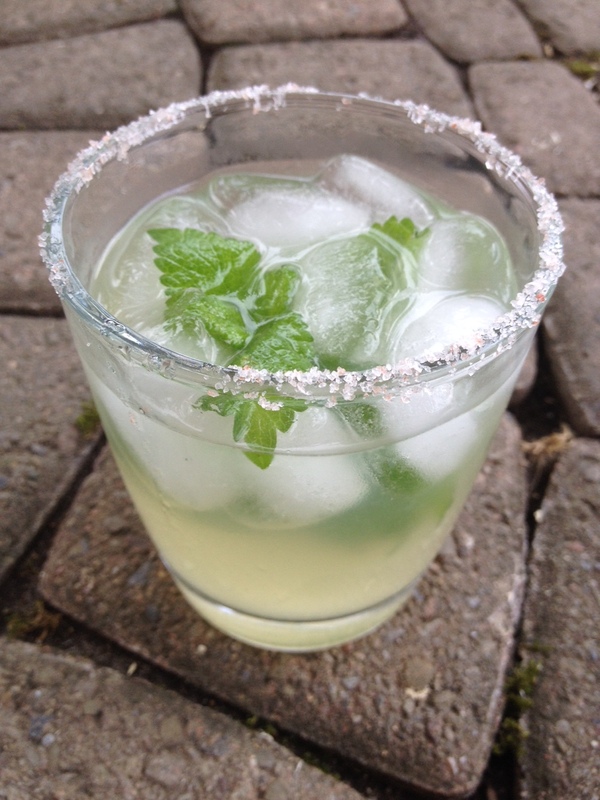 I created a NEW drink: The Lemon Balm-arita! Lemon balm is pretty, but it will spread all over the yard. You might want to keep it contained if you decide to grow some. It’s a lovely garnish for a summer beverage!